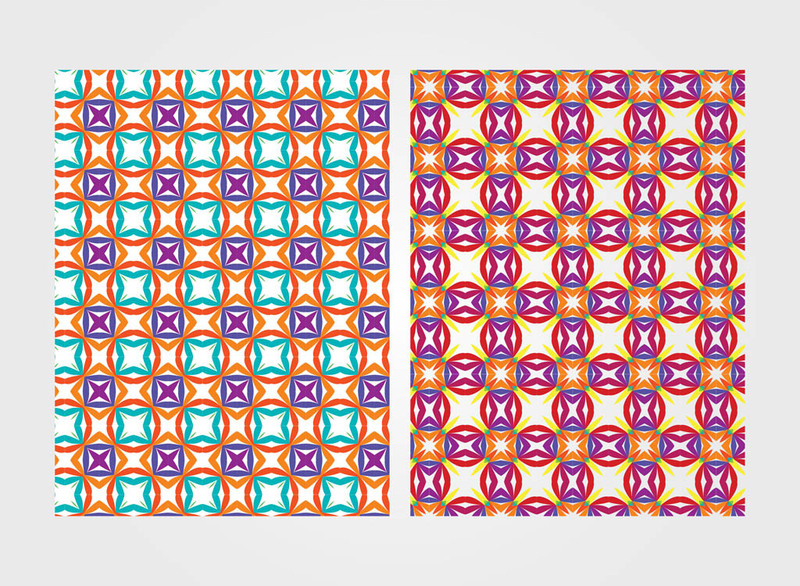 Vector graphics of colorful seamless patterns with abstract shapes. Bright color shapes in abstract compositions to design floor tiles, clothing patterns, fabric prints, interior design decorations, wallpapers, backgrounds, backdrop images, posters and flyers. Free vectors for geometry and abstract art visuals. Tags: Abstract, Backgrounds, Geometric Shapes, Geometry, Multicolored, Seamless Patterns, Wallpapers.